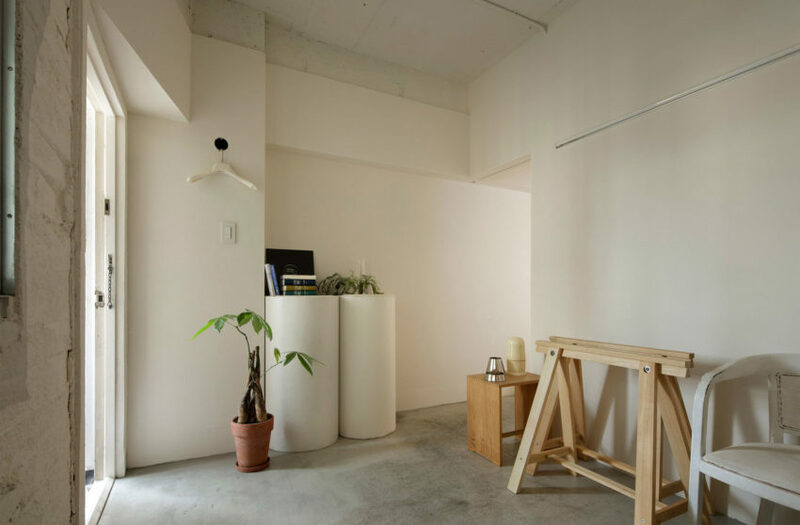 Done in a subtle and simplistic style that envelops visitors upon entrance, this small apartment can be found in Tokyo, Japan, and was recently renovated by the architectural firm Design Studio Minorpoet. 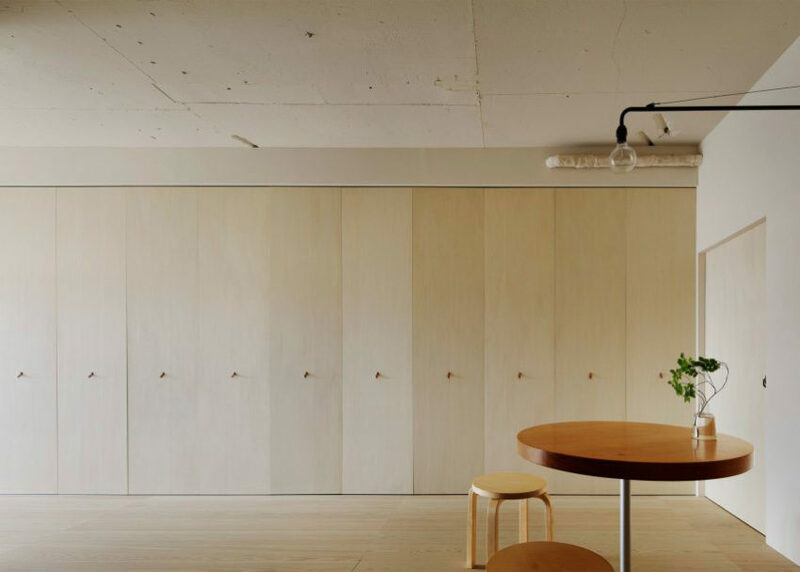 Perhaps the most striking feature of its design are the light, matte wood doors behind which is hidden a small and very simple kitchen, which provides a wealth of storage space. 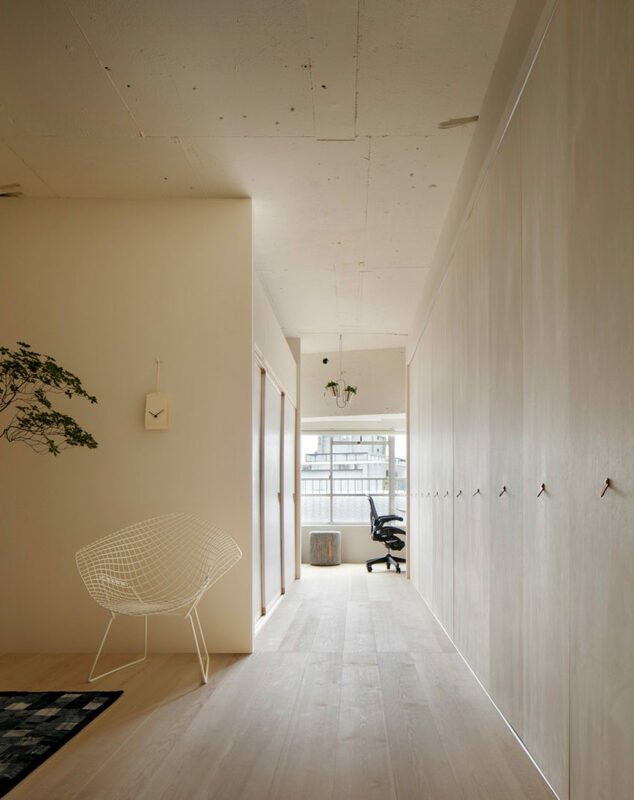 Its floors, made of very light wood, contrast against the walls of pale cream. The ensemble formed by this and the rustic ceiling fills the atmosphere with a wonderful sensation of tranquility and peace. 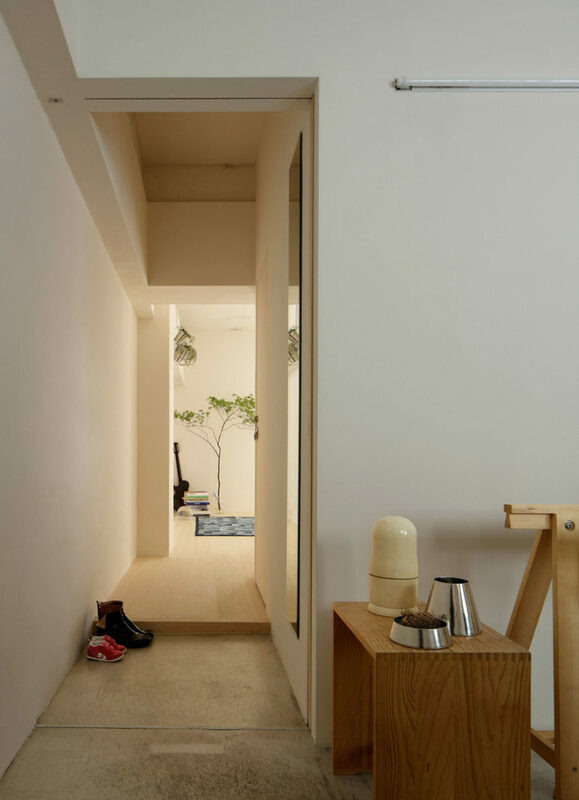 Its scarce furniture and its very specific decorative details, far from giving it a hollow or deserted look, make us realize the importance of each of these small and simple elements. 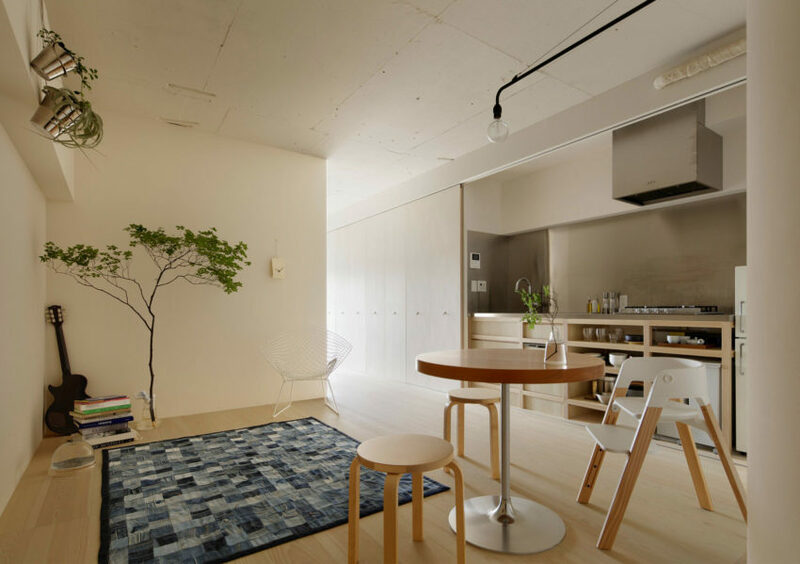 A dining room, where small wooden armchairs in a very contemporary style accompany a round wooden table, is located in front of the kitchen. 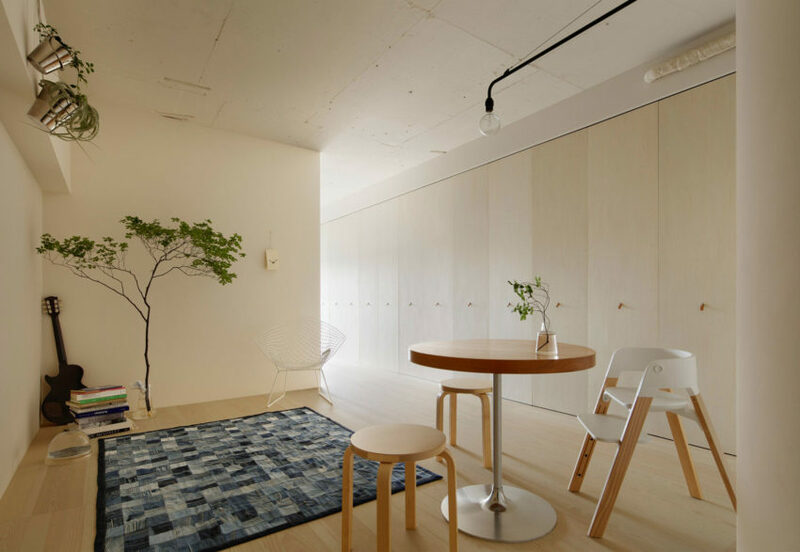 On one side, a single rug sitting atop the wooden floors seems to serve as a living room, inviting us to sit and rest in a space that, despite having almost nothing to show when it comes to décor, has the particularity of being very welcoming.